Committed to Amazon | Boyle Software, Inc.
Amazon is signing up more corporate customers for their Amazon Web Services (AWS) cloud platform than Google and Microsoft to their respective cloud platforms. In addition, Amazon corporate customers are PRE-paying for larger and longer, multi-year terms. This market traction is a testament to both the AWS technologies and Amazon partners, such as Boyle Software. 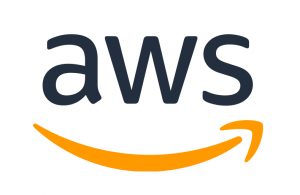 AWS offers excellent services; but it makes the most sense to work with an experienced partner who can maximize the tech benefits while minimizing the financial burdens. The cloud market continues to mature. Pay-as-you-go was a fine way for companies to start into cloud computing. But now that companies are comfortable with cloud computing they are looking for longer-term and price-competitive commitments. Boyle Software has 10+ years of experience doing exactly that on the AWS platform. We manage AWS accounts for many of our customers. Plus we offer our own managed services platform called HeartyHosting, in part using best-of-breed AWS and 3rd-party services – all under long and efficiently-priced terms. With AWS and Boyle Software together our customers enjoy long-term, stable, inexpensive, robust, fast and secure cloud hosting.